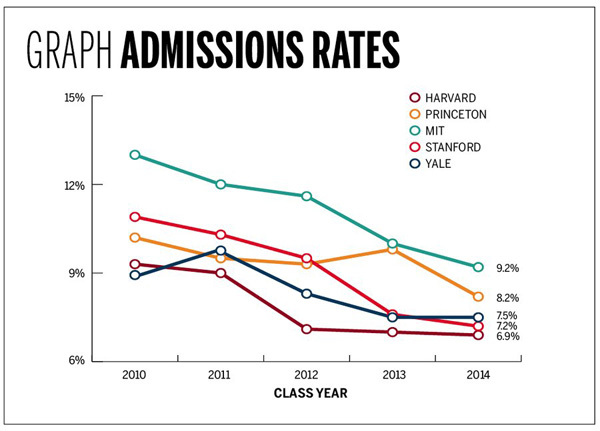 The graph, with the names of the schools, suggests that this is about colleges. But it's much more about high school seniors. The downward trend of the lines coupled with the title ("Admission Rates") hints that colleges are admitting fewer people when in fact the decline in rates is almost entirely caused by an increase in applications. Why not a graph that showed the numbers of both applications and admits for each school? 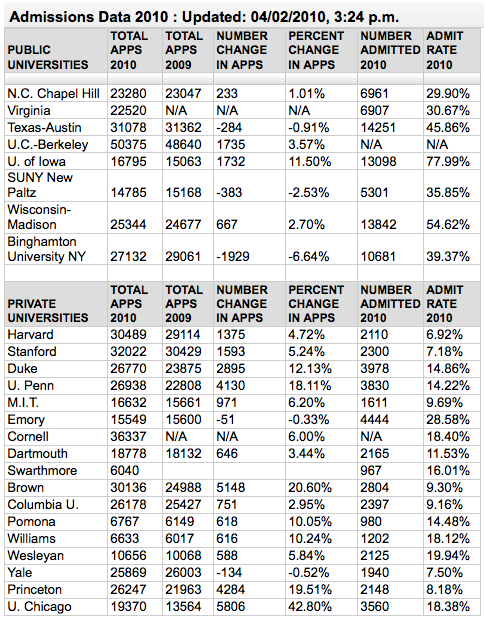 Which of these accounts for the largest share of the change in admission rates? My guess is c, then b, then a.